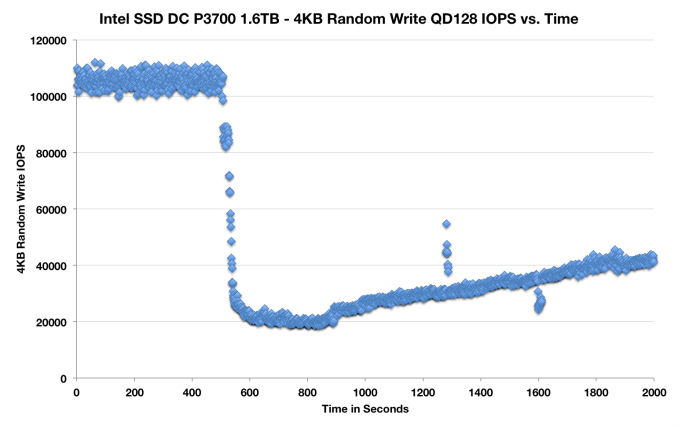 I was disappointed that the 4K QD1 read was no better than 40 MB/sec that can be achieved by SATA / AHCI SSDs like the Samsung 840 Pro. FusionIO has been getting twice that (i.e., around 80 MB/sec) for years. 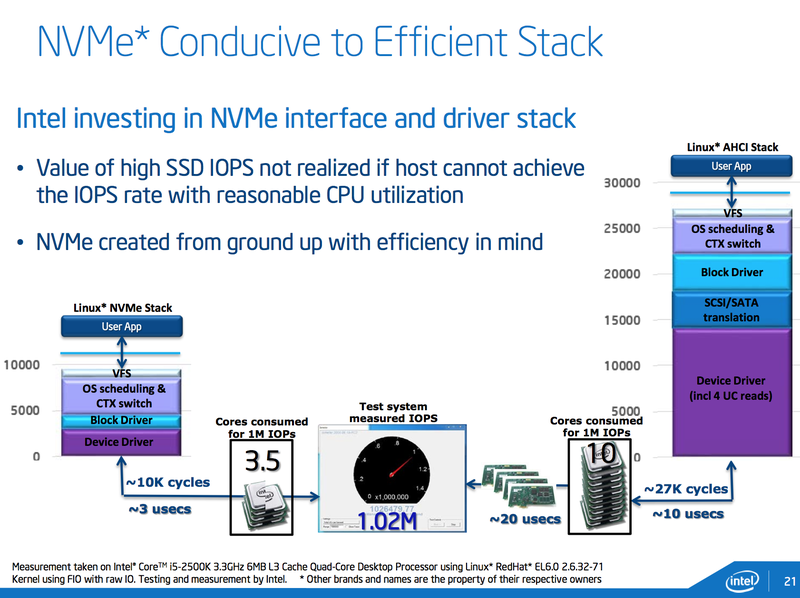 I was expecting NVMe to achieve something similar. 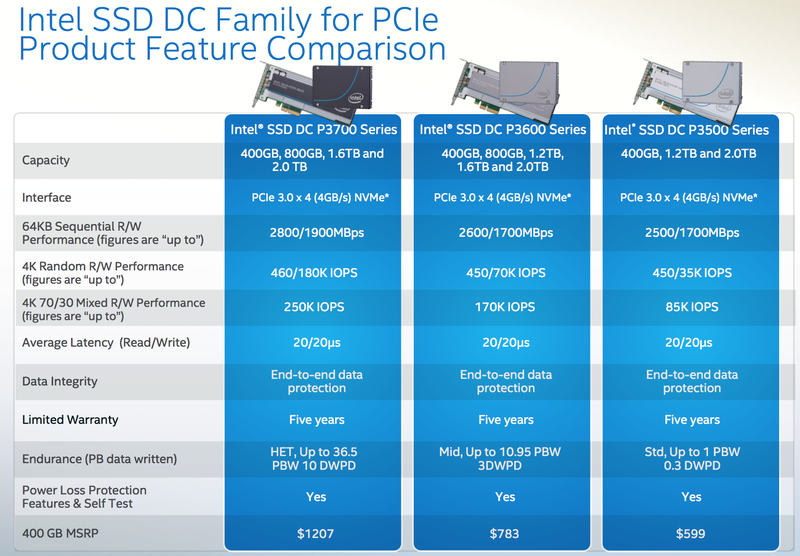 I find it interesting that this article is presented as an enterprise SSD review and even goes so far as to decry the performance of previous implementations, but does not mention Fusion-io or Virident. 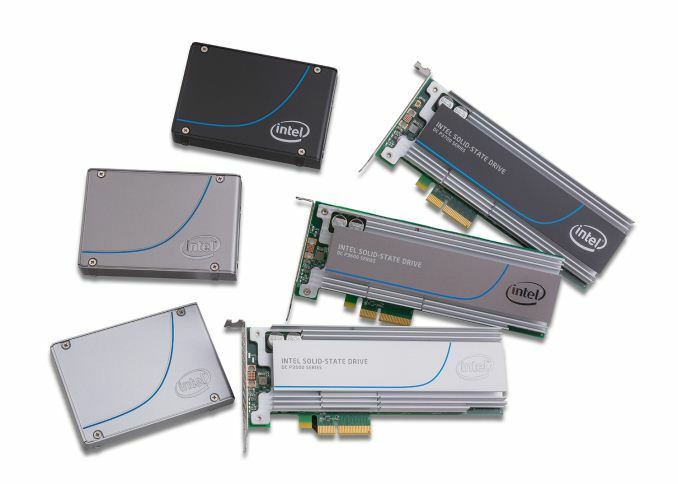 We've had 500K IOPS and latencies in the tens of microseconds for years now without Intel or NVMe, those are not the stories here. 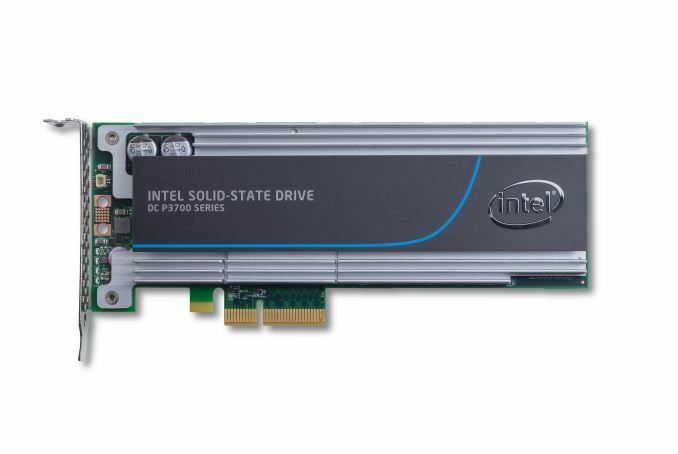 NVMe is not some wonderful advance from a performance point of view, and should not be presented as such. What it is is a path towards the commoditization of relatively high performance PCIe SSDs. That's an incredibly important achievement and should have been the focus of the discussion.